I’m just going to throw this out there now: if you live on Lemchesvej in Hellerup, you’re doing okay. Probably very much more than okay, actually. According to housing website Boliga.dk, Lemchesvej is the most expensive street in Denmark, with an average valuation of 12.2 million kroner per house. 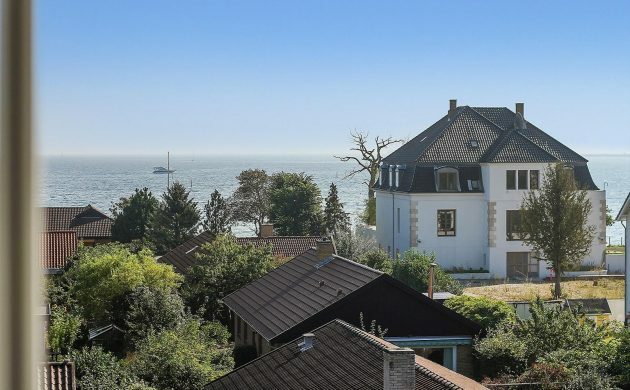 The swanky Hellerup street was followed by Immortellevej and Vedbæk Strandvej, both in Vedbæk in north Zealand, which had average valuations set at 11.98 million and 11.68 million kroner respectively. Hambros Alle in Hellerup came fourth with a 11.35 million kroner average. In Copenhagen, Ryvangs Alle and Soldalen in Østerbro had average valuations of 8.4 and 7.87 million kroner, while in other parts of the country, houses in Ryvangs Allé and Skæring Strandvej near Aarhus were valued at 6.5 and 6 million kroner. Rønne Alle in Svendborg had the highest valuation in Funen with 4.35 million kroner, Constancevej in Aalborg led the way in north Jutland with 4.6 million kroner and Stranden was first in south Jutland with 4.45 million kroner. Elsewhere, Grammegårdsvej was top in Bornholm with 2.6 million kroner, Bollervej was the dearest in west Jutland with 5.16 million kroner, Peyronsvej led the way in east Zealand with 4.65 million kroner and Bjælkehovedvej topped in west and south Zealand at 4.1 million kroner.